41 Commando or No. 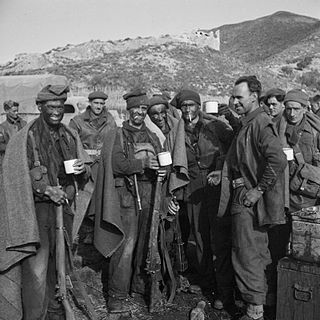 41 (Royal Marine) Commando was a unit of the Royal Marines trained as Commandos during the Second World War. They were part of the all Royal Marine 4th Special Service Brigade that took part in the Normandy landings in June 1944 and later that served in World War II, the Korean War, and in Northern Ireland. They were disbanded in 1981. Pembroke Dock is a town and a community in Pembrokeshire, South West Wales, 3 miles (4.8 km) northwest of Pembroke on the banks of the River Cleddau. Originally Paterchurch, a small fishing village, Pembroke Dock town expanded rapidly following the construction of the Royal Navy Dockyard in 1814. The Cleddau Bridge, a toll bridge links Pembroke Dock with Neyland. The Isle of Wight is a county and the largest and second-most populous island in England. It is in the English Channel, between 2 and 5 miles off the coast of Hampshire, separated by the Solent. The island has resorts that have been holiday destinations since Victorian times, and is known for its mild climate, coastal scenery, and verdant landscape of fields, downland and chines. Bickleigh is a small village on the southern edge of Dartmoor in Devon, England. It has a population of about 50 people. It is in the South Hams district, and is about 7 miles (11 km) north of Plymouth city centre. The village is part of the electoral ward called Bickleigh and Shaugh. At the 2011 census the ward population was 4,723 42 Commando is currently based at Bickleigh Barracks. Soldiers of 41 Independent Commandos plant demolition charges on a railway line in Korea. The green beret was the official headdress of the British Commandos of the Second World War. It is still worn by members of the Royal Marines after passing the Commando Course and personnel from other units of the Royal Navy, Army and RAF who serve within 3 Commando Brigade and who have passed the All Arms Commando Course. 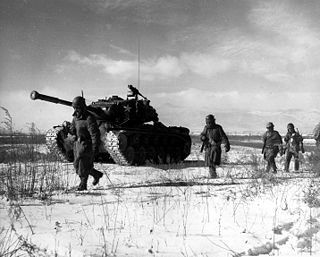 The Battle of Chosin Reservoir, also known as the Chosin Reservoir Campaign or the Battle of Jangjin Lake was a battle in the Korean War. The name "Chosin" is derived from the Japanese pronunciation "Chōshin", instead of the Korean pronunciation. Royal Air Force Commandos were formed from units of the Royal Air Force (RAF) during the Second World War. They were formed in 1942 and served in the European and Far Eastern theatres of war before being disbanded in 1946. General Sir Campbell Richard Hardy, (1906–1984) was a Royal Marines officer who served as Commandant General Royal Marines from 1955 to 1959. ↑ Daugherty III, Leo J. 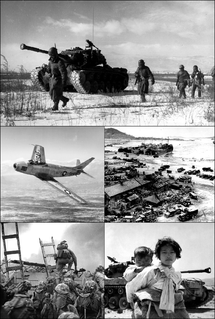 Train Wreckers and Ghost Killers: Allied Marines in the Korean War 2003 History and Museums Division, Headquarters U.S.M.C. ↑ "Britain's Sheet Anchor, Old Brothers in Arms: The 41 Independent Commando at Chosin". November 2001. Retrieved 22 May 2016. Fowler, Will (2009). Royal Marine Commando 1950–82: From Korea to the Falklands. Osprey Publishing. ISBN 978-1-84603-372-8. Hayhurst Fred (2001). Green Berets in Korea – the story of 41 Independent Commando – Royal Marines. Vanguard Press. ISBN 1-903489-12-1. "Britain's Sheet Anchor, Old Brothers in Arms: The 41 Independent Commando at Chosin (November 2001)". 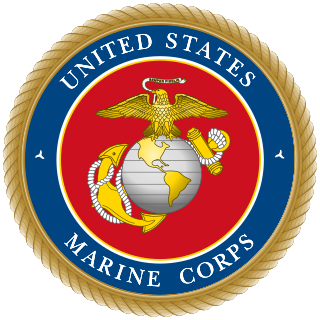 Marine Corps Association and Foundation.